Among its directives, NFPA 652 outlines deadlines for sampling and analysis to identify potential risk areas for dust explosions in industrial facilities. Spotlight now turns to mitigation equipment. “Perhaps the most important aspect of the introduction of NFPA 652, is that is requires all owners and operators of a dusty industrial process to do a dust hazard analysis,” says Geof Brazier, president of BS&B Pressure Safety Management , a manufacturer of a broad range of dust explosion prevention and protection technologies. According to Brazier, NFPA 652 specifies facilities must complete this dust hazard analysis within 3 years. However, recent revisions to NFPA 654 and 61 that additionally apply to many facilities have extended that deadline to 5 years. During the early stages of a dust or gas explosion, explosion vents open rapidly at a predetermined burst pressure, allowing the combustion process to escape to the atmosphere and limiting the pressure generated inside the process equipment to calculated safe limits. To address this concern, companies like BS&B Pressure Safety Management provide a flameless system designed with the vent installed inside the flame arrestor. 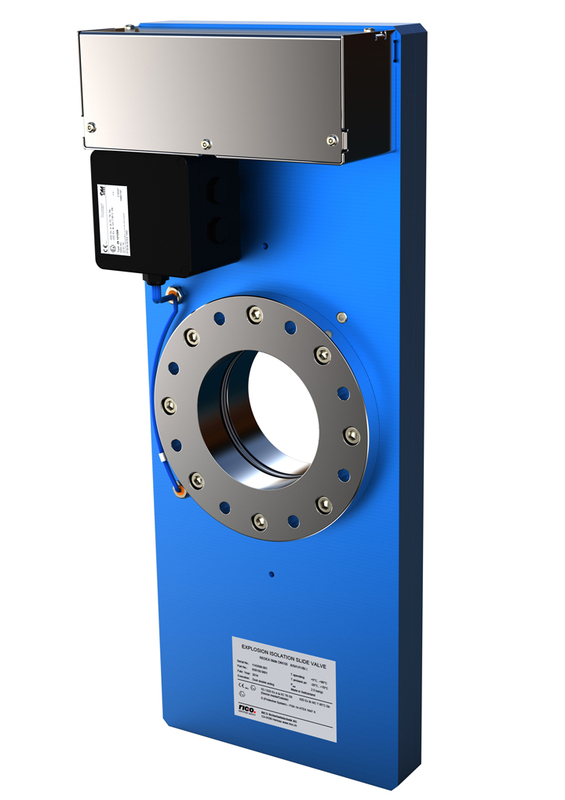 In doing so, the heavier flame arrestor is mechanically mounted directly to the equipment, reducing the weight load transmitted through the more sensitive vent and eliminating the risk of damaging the vent . To “contain” an explosion, process equipment is built strong enough to resist the pressures generated by the combustion occurring inside a sealed container.